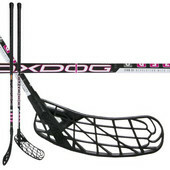 Floorball sticks are essential equipment for floorball. 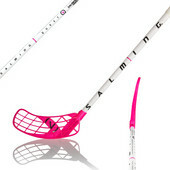 Please choose the floorball stick properly to avoid having problems with floorball skills. Every stick has different properties likes: length, shaft type, the shape of blades, but also material and technology the sticks are made of. Before you choose a stick, we suggest read how to choose a floorball stick, where we help you to choose a correct length, flex, material and also bend of the stick. 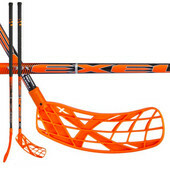 The sticks are divided into groups according used material - from professional floorball sticks, through hobby floorball sticks, to floorball sticks for beginners. 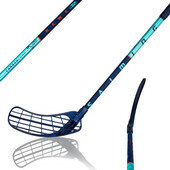 Our floorball filter knows how to show products you want as fast as possible - just choose sticks brand, length, curve, shaft flex, material or type, blade, grip colour etc. 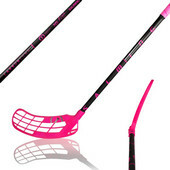 If you need the floorball stick quickly, please select only "in stock" products, which have been sent as soon as possible directly from our warehouse. Special items are products, which are discounted from the recommended retail price. 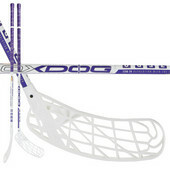 We have more than 10 000 sticks in our stock, we believe, you will choose the best stick for you.